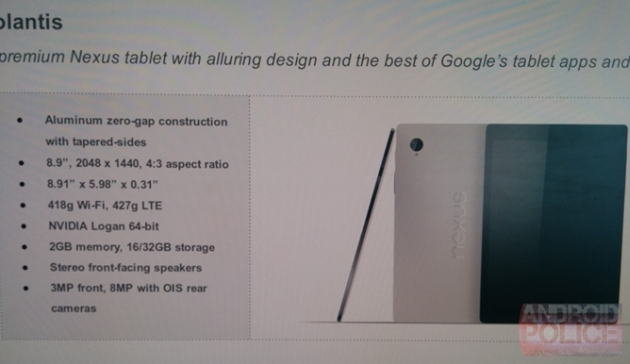 A new leak is revealing specs and early mock-ups of a new nine-inch tablet from HTC, codenamed “Volantis”. Android Police has revealed that pricing won’t be as harsh as it could, with a rumored cost of $399 for the 16GB model and $499 for the 32GB model. HTC and Google are said to be aiming for a Q4 2014 release to correspond with the launch of Android L, the next Android overhaul.